Revisit Swallow's Fall in this beautiful short novel from Jennie Jones about an ex-military man, a single mother and the impossibility of dreams coming true. Fatalistic, long divorced and doing her best to give her children a good life, Lily works two jobs in her hometown of Swallow's Fall, saving every spare cent for the day she can lease the empty corner shop on Main Street. 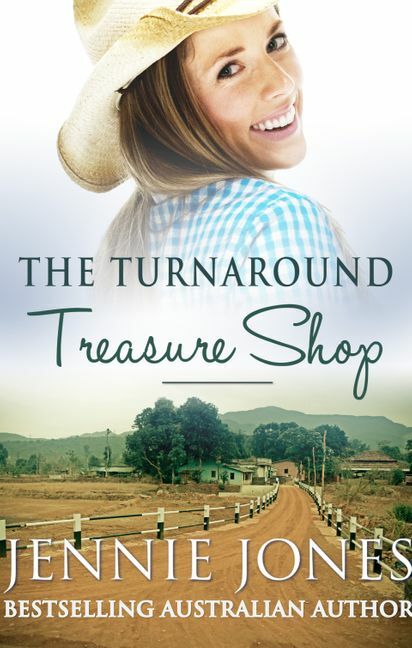 She longs to open it as Turnaround Treasures, a second-hand shop bursting with rescued country curios—but there aren't enough spare cents and Lily's dream is slipping away. Ex-Navy diver Nick Barton arrived in Swallow's Fall a year ago to quietly reunite himself with civvy life. Recognising an instant attraction to Lily, Nick backed away fast. Given his track record of an unhappy ex-wife and the baggage that comes with a Special Forces career, Nick doesn't think he stands a chance with shy, reserved Lily. He can't be with her – but that doesn't mean he doesn't see her. Lily has spent her whole life cheerfully giving to others. When Nick offers her the ultimate chance for a turnaround, will Lily's fear of being 'second hand' ruin the opportunity of forever love for both of them?